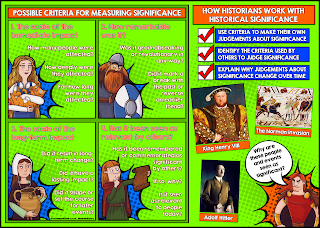 This is an overview﻿ lesson which will establish the 'big picture' for a unit of work on the significance of the Norman invasion. I'd like my students to leave the lesson having some understanding of William's position immediately after the Battle of Hastings in 1066 and knowledge of the methods used by the Normans to control England. 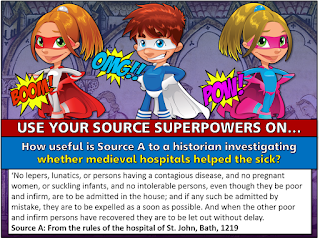 We're also going to revisit another teaching point from earlier this year - namely that historians may have different interpretations and that these are based on evidence. Firstly, I'll flag up the 'big ideas' in the lesson. 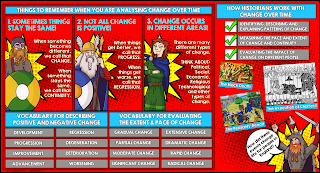 This is something which has been introduced across my school to give a degree of consistency across lessons & subject areas, particularly in terms of learning objectives and lesson outcomes. As this is the first lesson of a new unit of work, students will complete their self-assessment of the previous unit of work and an initial assessment of their position regarding the new unit of work. Now I'll talk to students about King William I's reign. This is my hook - I'm going to use some exciting & entertaining stories from his reign to encourage students to buy into the lesson. Some teacher exposition here. I'll set out four key problems facing William in maintaining control of England. Students will then create their own explanation. Students will then do a reading task. To help them process what they are reading, they will allocate each of William's solutions to one or more of his problems. There will be some class discussion after this about what William did and why it was important in maintaining Norman control. At this point, students are gaining an overview of Norman methods of control - we'll revisit some of the key ones in greater depth in subsequent lessons. 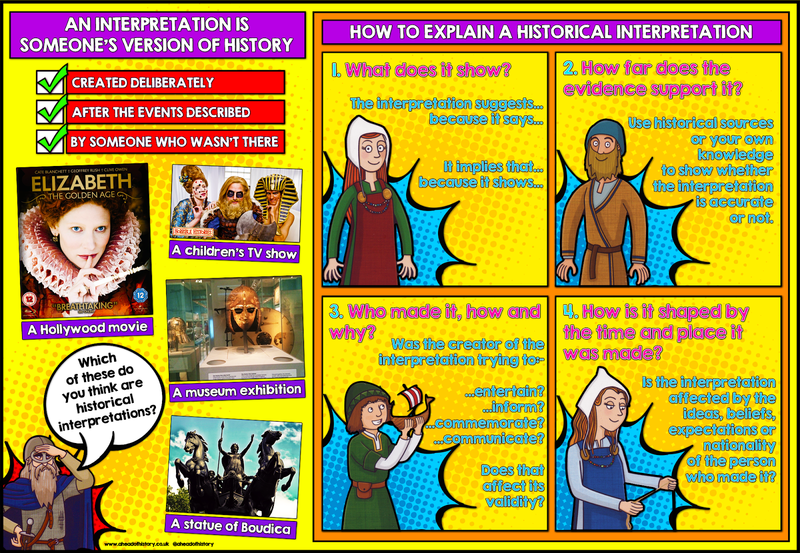 Finally we will recap what an interpretation is and how historians use evidence to create their interpretations. I'll give students four different interpretations of William's reign to look at and ask them to identify specific evidence on which these interpretations might be based. 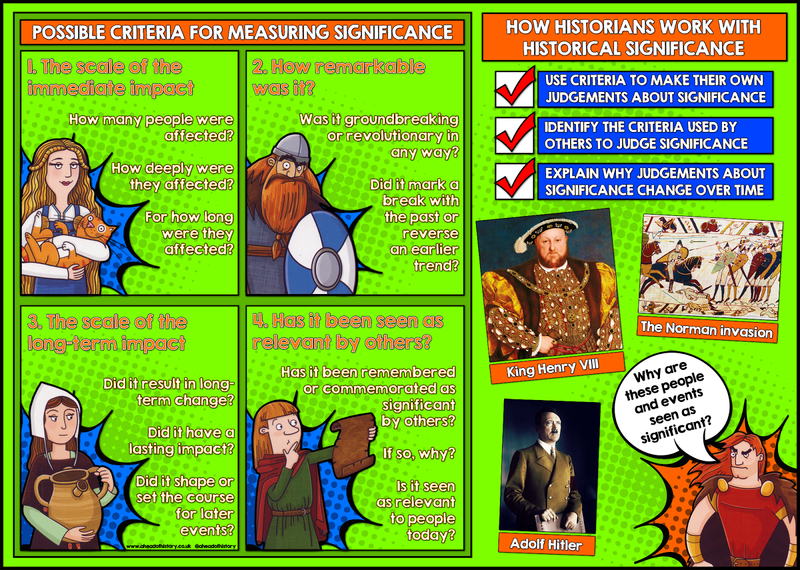 Here's a new lesson I've planned which I hope will enable Year 7 students to use evidence to challenge some generalisations about the past. First, let's remind them how today's lesson fits into the broader enquiry which students are following. 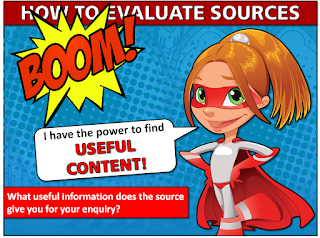 This is something which seems to be working at the moment, helping my students to relate what they are doing today to the overarching investigation. In the starter, I want them to get the idea of what a generalisation is. Hoping to present them with some generalisations which will result in some animated discussion. Then I plan to tell them that historians should not accept simplistic generalisations about the past, but should examine their validity in view of the available evidence. Now I’ll present five generalisations about life in Viking settlements. These are the statements which I want students to revise and improve later, using evidence. At this point I'm going to give them a little context. So far in the unit, we've focused mostly on Vikings as raiders, rather than invaders and settlers, so I'm going to teach them a brief narrative of how Viking contact with Anglo-Saxon England changed over time. Now I'll introduce some of the evidence found during the Coppergate dig. 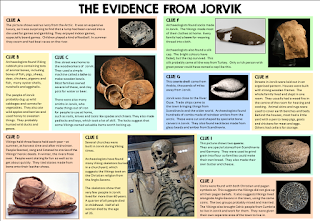 Students have already done some work looking at the different types of evidence available regarding the Vikings, so are familiar with the idea of using archaeological evidence to make inferences. Next up, a reminder of those generalisations which students will be correcting later. 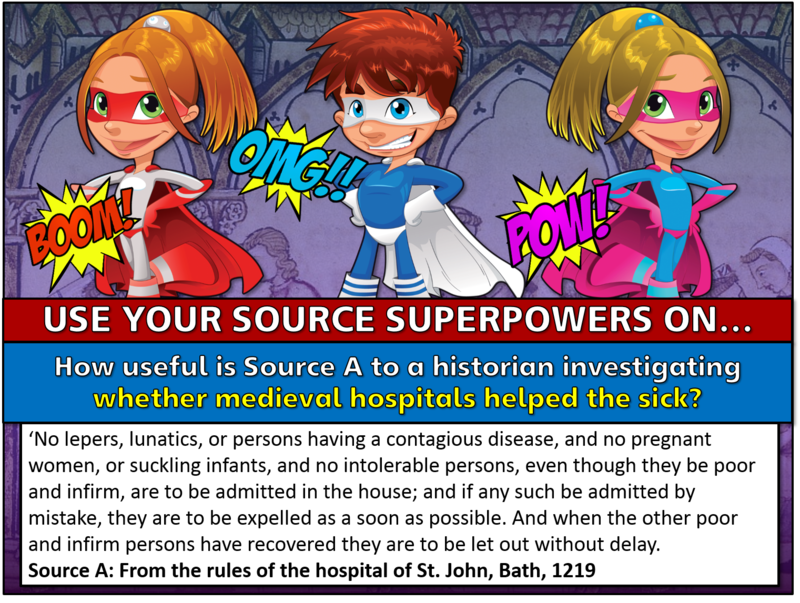 We'll have this slide up on the board and refer back to it as we read the evidence from Jorvik. Now students are (hopefully) ready to correct those generalisations, selecting evidence from the Coppergate dig to prove their ideas. At the end of the lesson, we'll reflect on what students have learned about working with generalisations and draw out some transferable tips which can be used next time they encounter this. In the first lesson of the unit, I will begin by telling them what they are going to be investigating over the next few lessons. Then I'll ask them to create an interpretation of their own by drawing a Viking. Hopefully this will function as a nice hook, and then we will share our images looking for common themes. Then I'll talk to them about what an interpretation is. We'll establish that the drawings they made at the start of the lesson were simple interpretations, and I'll make a link to what it means to get better at 'doing history'. 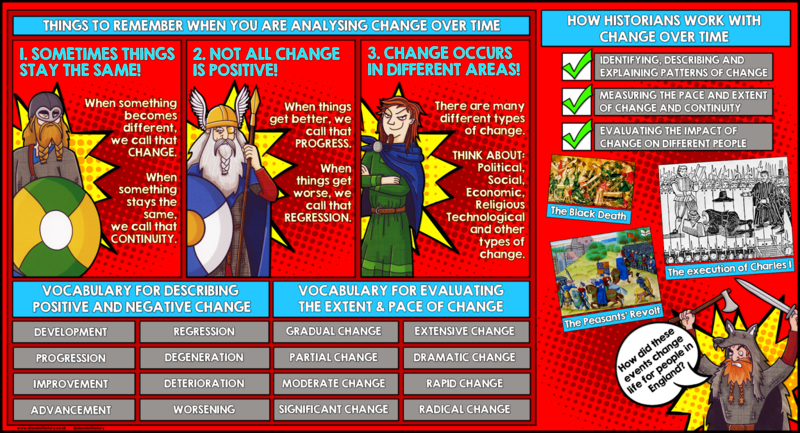 This slide links to my classroom displays on historical concepts which you can download HERE. Then we will have a look at an artist's interpretation of the Vikings from a children's magazine in the 1970s. We'll talk about the content of the image and share some ideas about why the painter produced such an interpretation. At the end of the unit of work, my students will return to this image and critically evaluate this image. Next up, I want my students to recognise that new versions of the past are being created all the time by historians. 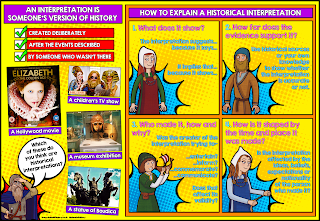 We will read two historians' interpretations of the Vikings and then students will create a little roleplay interview with one of them. My own experience suggests that roleplaying interviews like this helps students to grasp the idea that historians have different views about the past. After that, we'll watch a few of the roleplays as a past, and discuss what the main areas of disagreement are. Then we'll consider whether there are any overlaps or areas of agreement. This will be followed by a short piece of comparative writing. Lesson walk-through: When and why did the Armada fail? 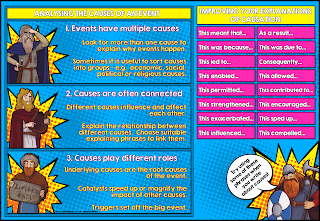 I'm currently working with a challenging Year 9 group and aiming to develop their understanding of causation. The overarching enquiry is "What caused the Armada to fail?" and by the end of the unit, I want students to be able to make substantiated judgements about the relative importance of different factors in causing the failure of the Armada. This lesson comes from the middle of the unit of work. 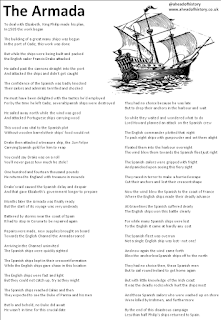 Prior to the lesson, students have already evaluated the strengths and weaknesses of both Spanish and English preparations for the invasion and now they are ready to look at the Armada's voyage. First I want to engage students with the excitement of the Armada story. I'm doing this through teacher exposition, combined with some comprehension work on an Armada poem. Before﻿ going any further, I want to check understanding of the story and give students specific knowledge which they will need later. I ask them to put the events of the Armada into chronological order and sort them geographically onto the map. By now, students have a good overview of the key events which happened to the Armada during its journey and they are already getting a feel for what factors were important at different stages. I am working towards students being able to judge the relative importance of a range of factors in the defeat of the Armada and for me, this requires students to understand at what points the factors played a role, and what the consequences of these factors were at each stage. To facilitate this, I've made a set of character cards with details on each part of the journey. Students use these to identify both positive and negative consequences for the Armada at each stage. They record these on their map sheet. Now students work together to discuss the significance of each development during the Armada's journey. Based on these conversations, they rate each event according to how far it was a setback (or not). This will be useful in the next lesson when students begin to make judgements about which factor(s) were truly decisive in the Armada's failure. By the end of this lesson, my students are set up for this, as you can see below. Lesson walk-through: Why was war between Spain and England unlikely in 1558? 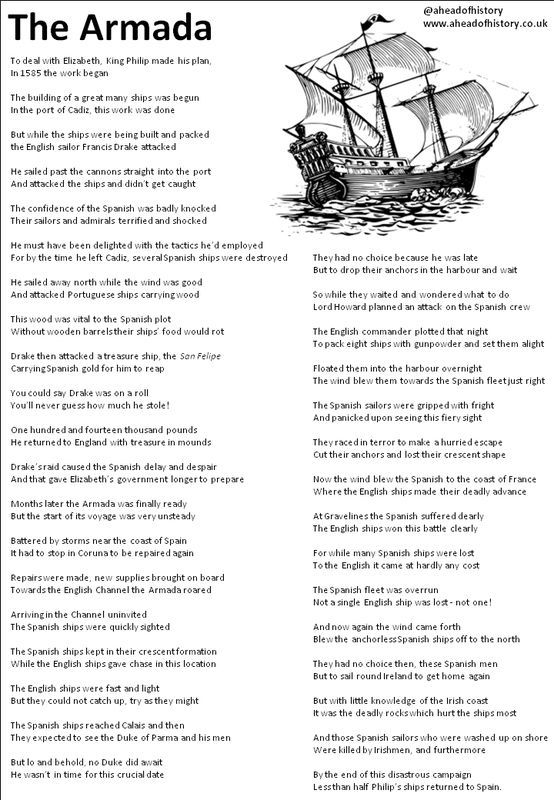 First up, I'm going to introduce the new unit of work around the enquiry "Why was the Spanish Armada beaten? ", covering English-Spanish relations from 1558-1588. I've chosen a silver Armada medal as a hook and ISM here. I've planned a chain of questions to ask students about the medal, beginning with the concrete (what can they actually see happening on the medal) moving towards the more abstract. I hope to use this as a starting point from which to set out a direction for the overarching enquiry question. Together, my students and I will come up with a list of questions for investigation during this enquiry. 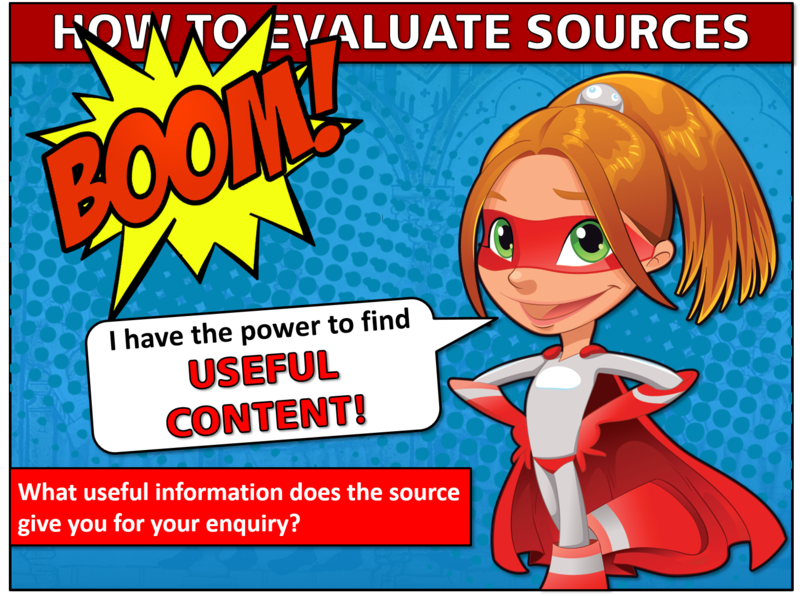 Now I'll introduce today's lesson enquiry and how it links to our﻿ overarching enquiry. I'll make sure that students understand we are focusing on the concept of causation today. I'm hoping to engage students' interest by telling them that today we're investigating why something did not happen. Then we're going to follow it up with some map work. In order to understand the main activity which is coming, it is crucial that students have a grasp of the geography and a broad understanding of the strategic relations between the countries involved. W﻿e're then going to discuss the importance of the English Channel to both England and Spain. Again,this is foreshadowing what is coming in the main task. 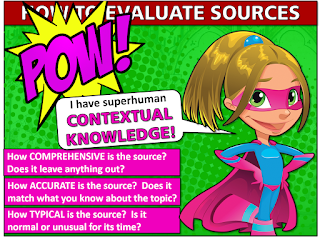 I need to make sure that students understand the context which they will be working in. Now the first main activity. Students are presented with cards containing causes which made war between England and Spain less likely in the early part of Elizabeth's reign. I want good pair talk about causation here as students work together to make notes on how each of these causes would make the prospect of war less likely. Some of my more able, gifted and talented students will race through this, so I'll ask them to decide on their own categories for the causes. Then I'll offer one way of categorising for the class. Next﻿ we'll sort our cards according to whether they influenced Philip II, Elizabeth I or both. I'll then ask students whether Philip II and Elizabeth I were driven to avoid war by largely the same or different factors. Were there any factors which played a greater role for Elizabeth than they did for Philip? 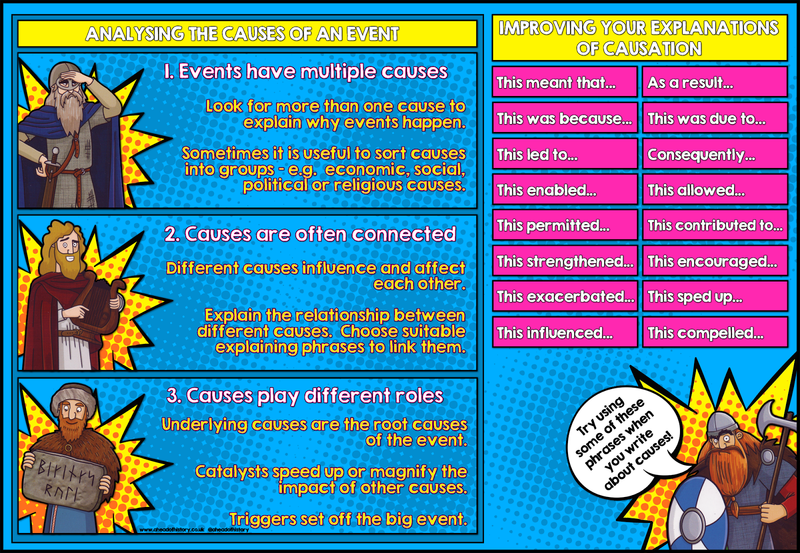 The challenge here will be for some of my students to begin making links between the causes. Now we're ready for a choice of task. Students will select their own option here. This is the point in the lesson where I want students working independently, without discussion and without further guidance from me. They need to focus in order to make sense of what they have learned and I need to know what they've understood. I'll stand back and watch them work at this point.